Be the first to share your favorite memory, photo or story of Goldie. This memorial page is dedicated for family, friends and future generations to celebrate the life of their loved one. 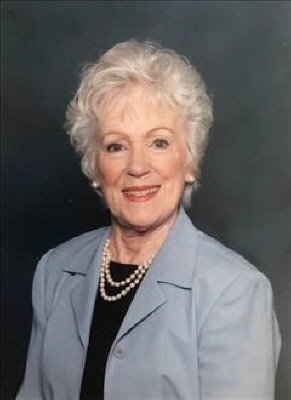 Goldie Blanche Hann, age 90, of Big Canoe, passed away Monday, March 25, 2019. Mrs. Hann was born August 28, 1928 to James and Sadie Sinclair in Camden, South Carolina. She loved her Lord and Savior and her happiest times were with her children and grandchildren. A most cherished memory was time spent in Israel with friends of Big Canoe Chapel. Mrs. Hann is survived by her children, Dianne Rogers of Big Canoe, Georgia; Ruth and Dean Holder of Pickens, South Carolina; Lee Hann of Easley, South Carolina; Janette Bracken of Pickens, South Carolina; David Hann of Mooresville, North Carolina; Cindy and Jeff Knox of Easley, South Carolina; special niece, Donna Sinclair of Baltimore, Maryland; ten grandchildren; seventeen great-grandchildren; and one great-great grandchild. Funeral Services will be held 1:00 p.m., Thursday, March 28, 2019 at Big Canoe Chapel with Reverend Len Walker and Reverend Lamar Helms officiating. A graveside service will be held 12:00 p.m., Friday, March 29, 2019 at Greenlawn Memorial Park (595 Old Liberty Road; Easley, SC 29640) with Dr. Stuart Houston officiating. The family has requested in lieu of flowers, memorial contributions be made in Mrs. Hann's honor to Big Canoe Chapel Men's Fellowship at 10434 Big Canoe, Big Canoe, GA 30143 or to the Big Canoe Volunteer Fire Department at 10586 Big Canoe; Big Canoe, GA 30143. To send flowers or a remembrance gift to the family of Goldie Blanche Hann, please visit our Tribute Store. "Email Address" would like to share the life celebration of Goldie Blanche Hann. Click on the "link" to go to share a favorite memory or leave a condolence message for the family.